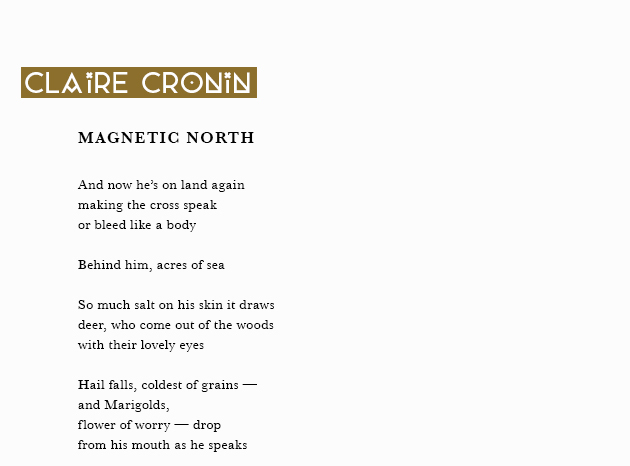 Claire Cronin is an artist from Los Angeles who makes poems, songs, and performances. Some of her work can be found in recent or future issues of DIALOGIST, Vinyl Poetry, The Volta, and Yalobusha Review. Claire is an MFA student at UC Irvine and tweets for H_NGM_N. For more: clairecronin.com.